Holy Spirit Parish Newman Center is incredibly grateful for the gifts of your time, treasure, and talents. Monetary donations and volunteers are integral to the sustainability of our ministries, student life, and social justice efforts. “Light of Christ” Extraordinary Easter Match Is Here! We have an amazing opportunity to show more students the saving love of Jesus Christ! Once again, your donation given between now and April 27th at 6:00 p.m. will be matched, dollar-for-dollar up to $135,000 and will support our annual student ministry fund. What to see what your money supports? Click the video on the left for a 2018-19 review of life at Newman! GIVE TO OUR EASTER MATCH AND CHANGE LIVES! Be a Catholic Wildcat Ambassador! Becoming a Catholic Wildcat Ambassador is one of the easiest ways to become a mission partner here at the Catholic Newman Center. Your monthly investment in our Catholic students at the University of Kentucky will be used to sponsor programs that have a direct impact on the faith lives of students by helping them come to know Christ and then to go forth and evangelize the world. Jesus Christ changes everything! It’s the easiest way to give since your donations are automatic. We give you all the information you need to share the good news happening in our ministry with fellow parishioners, alums, and friends. We support your faith with a yearly subscription to The Living Faith Catholic Daily Devotions. You help change the lives of college students, the Church, and the world! 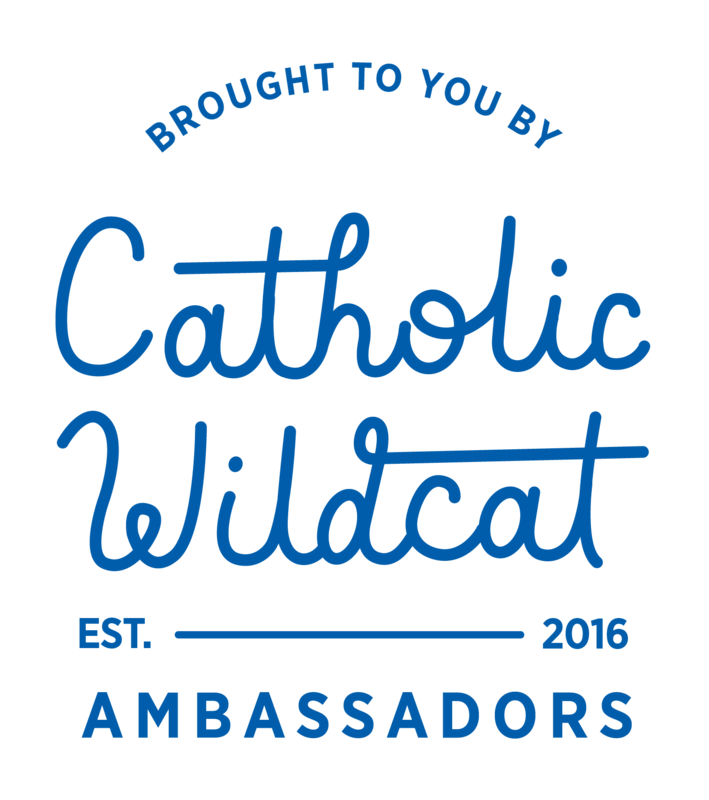 Become a Catholic Wildcat Ambassador! Our Church teaches that we, as the Christian faithful, are obliged to assist with the needs of the Church so that the Church has what is necessary for divine worship, for apostolic works and works of charity and for the decent sustenance of ministers. We are also obliged to promote social justice and, mindful of the precept of the Lord, to assist the poor from our own resources. It’s easy to set up your giving electronically; please reach out if you have any questions!